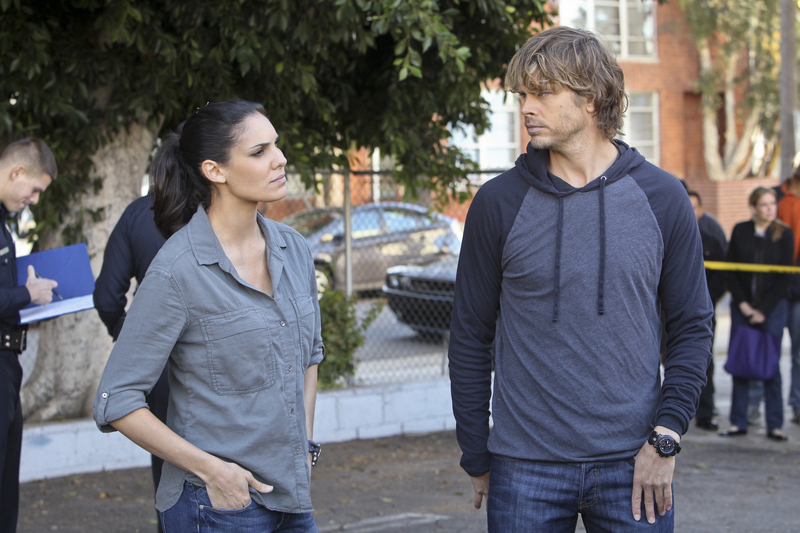 Pictured: Daniela Ruah (Special Agent Kensi Blye) and Eric Christian Olsen (LAPD Liaison Marty Deeks). Callen and Sam enlist the help of a Gurkha, an elite Nepali soldier specializing in knife fighting, to retreive a missing thumb drive. Meanwhile, Kensi and Deeks struggle to find a balance in their partnership, on NCIS: LOS ANGELES, Tuesday, Nov. 26 (9:00-10:00 PM, ET/PT) on the CBS Television Network. Photo: Monty Brinton/CBS ©2013 CBS Broadcasting, Inc. All Rights Reserved.